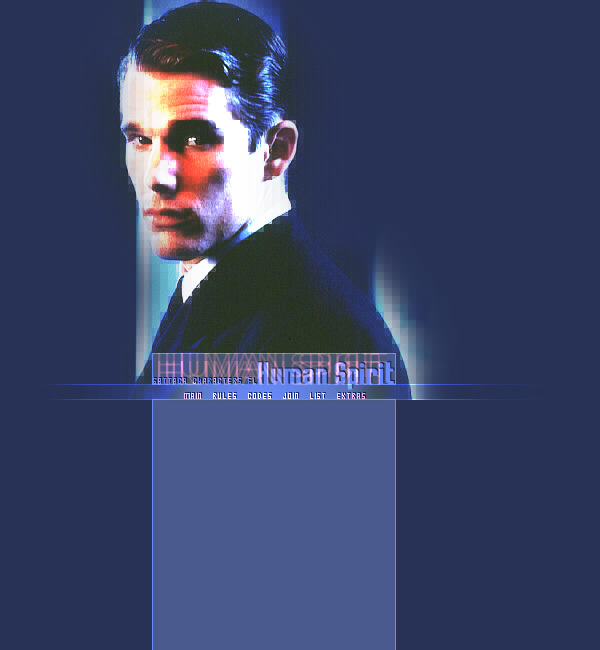 Human Spirit is the fanlisting for characters of Gattaca, the movie directed by Andrew Niccol. If you want to know more about the movie, visit the section "Extras". The purpose for this site is to gather all the fans of Gattaca's characters to create a sort of online community. If you are a fan of any of the characters from Gattaca, feel free to show your appreciation by joining the fanlisting! This site was previously owned by Anne Sophie. Now Panuru is taking care of it, so if you have questions, please contact her. This is a fan site and it is in no way affiliated with any official Gattaca site. Layout assembled with Adobe Photoshop 7 and Arachnophilia. Optimized for IE 6, 800x600+ resolution.